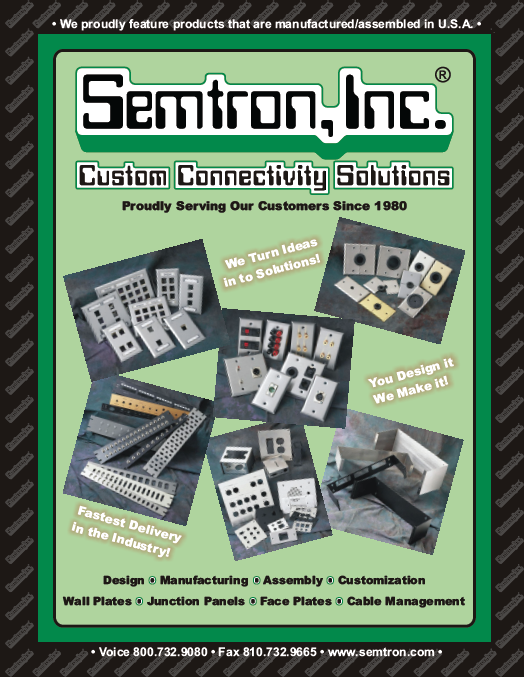 Semtron, Inc. is a small, family owned manufacturing company based out of Flint, Michigan, which specializes in creating custom connectivity hardware from american steel. Semtron was founded in 1980 by owner Paul Semerad, who started with a single product that he built by hand. Within less than a decade, business was booming. By 1986, product demand was strong enough to open a separate stamping facility, which is currently located in Germantown, Wisconsin. Mr. Semerad started his business with a simple vision: "Give the customer what they want, when they want it, and at a fair price". Contact your local Accu-Tech representative to learn more about customizing your ideal solution.